I watched the Broadchurch pilot once, then never made it back for the rest of the series. It’s not that I didn’t enjoy it, but maybe at the time it was a bit heavy for what I wanted to watch? I have But from what I remember of it, this show is a scene by scene American recreation of most of that pilot. And of course the star is the same–with his American accent. Wasn’t sure David Tennant’s accent was working for me, but it seemed to ease itself into naturality (a word I’m making up, yes) by halfway through the episode. I really liked that the dad of the dead boy was Hispanic and I think his performance surprised and pleased me most of all. (Oh and that the daughter’s boyfriend was black—can’t remember if that was the case on Broadchurch.) There was something about the dad, especially in the scene in the morgue, that I loved. He portrayed what it might look like for a father to lose his son really well. In fact, the silence that reigned in the theater I watched this in when Tennant and Gunn (I’m bad at character names upon a first viewing, apparently) inform the family was a true testament to the great job the actors and the director did of pulling the viewers in to such a horrifyingly sad and intimate moment in this family’s life. Anna Gunn was great and I think a perfect fit for this role. Verdict: In truth, I might DVR the show then never watch it, like I did with Broadchurch and that’s nothing against the show, that’s all me. But it’s not something I wouldn’t watch, I just might not watch it. Make sense? If not, ask me about it and convince me to watch it. Oh no! FOX cancels Hieroglyph before it’s fall debut! I was looking forward to checking this out, due to the diverse casting (though had qualms about it after learning the true lead was another white male), but looks like I won’t be checking it out after all. I could just stare at that promo poster featuring Condola Rashad all day; perhaps I’ll make a poster in memoriam of this series that was truly nipped in the bud. It’s that time of the year, Upfronts (also here for another way to look at what Upfronts actually are), when networks present their pilot season shows and lineups to advertisers and the general public. I’ve been a bit busy or lethargic the last month or so, so I haven’t been posting (though I’ve been pleasantly surprised at the views I’ve still managed to get) but get ready for a deluge as I look at shows coming this summer, fall, and beyond, and discuss current shows’ trajectories (I’m a bit mad about NBC’s treatment of Parks and Recreation. We’ll get there). I’ll write a bunch and try to spread them out over the week as to not spam. Also, I’ll post my current fall tv chart–it’s looking as busy as usual as I find out about all these new shows! Let the Upfront madness begin! For the last few days, I’ve been showcasing some pilots being worked on this season with diverse casting. Here are some more that might be coming to our screens in the fall, but maybe I am less invested in. I found them by checking the TVLine descriptions and seeing which actors/producers are PoCs. If a show coming up with PoCs is being made but not on this list, I just didn’t notice. Definitely not an extensive list, and I’ll be keeping an eye out for more along the way. I hope this makes it just because its an ethnicity we don’t get to see much of on television. The specifics of Asian culture is often grossly glossed over. I went to school with Asian students with families from all over the continent, so I got a chance to learn about different aspects of Asian life and how each nationality differs from each other, but most Americans don’t know Asian from being specifically Chinese or Japanese. Just because TV is entertainment, doesn’t mean you should never learn anything about different people. No guarantees on who the casting will be for this one, but as a Shonda Rhimes show, it is sure to have color-blind casting. The Arrow spin-off follows Barry Allen, a Central City assistant police forensics investigator with a tragic past. Jesse L. Martin is all I have to say. I bit token-esque, but I’ll let it go lol. A women’s college begins accepting men for the first time in its history. While I’ll give any new show from Tina a chance, it featuring Margaret Cho is a plus in the diversity factor. Also Pam Fryman from HIMYM fame is a plus for me. This one’s already been ordered to series and stars Office alum Craig Robinson. So there will be at least one new black sitcom coming in fall. It sounds very similar to the Steve Harvey Show, so I’ll have to check it out to see how it’s different/updated for the new millennium. It surprises me not one bit that none of these shows are for CBS… I don’t remember any for the CW either (and with it’s WB/UPN strong PoC cast roots, this is sad to say). IO’m excited for all of these shows featuring people of color. It’s about time we got some new faces on our TV screens. Hopefully these survive pilot season and we get to at least give them a test run in September. EDIT JULY 1, 2014: Hieroglyph, despite it’s straight to series order, was cancelled by Fox. More here. A notorious thief is plucked from prison to serve the Pharoah, navigating palace intrigue, seductive concubines, criminal underbellies and even a few divine sorcerers. It seems FOX is committing to it’s diversity in sci-fi theme. After the success of this year’s Sleepy Hollow, FOX has ordered another supernatural drama with PoC in the lead role. Also for a 13 episode run, Hieroglyph has already been ordered to series, meaning we’ll see it when they air it. As someone who loves The Mummy, I’m hoping it’s something in the same vein. I wonder if it’s airing in conjunction with Sleepy Hollow which is set to return next fall. Both series are supernatural shows with PoCs as leads and I think Sleepy Hollow’s success could mean pairing them together on the same night to give this new show Sleepy Hollow’s lead-in numbers. 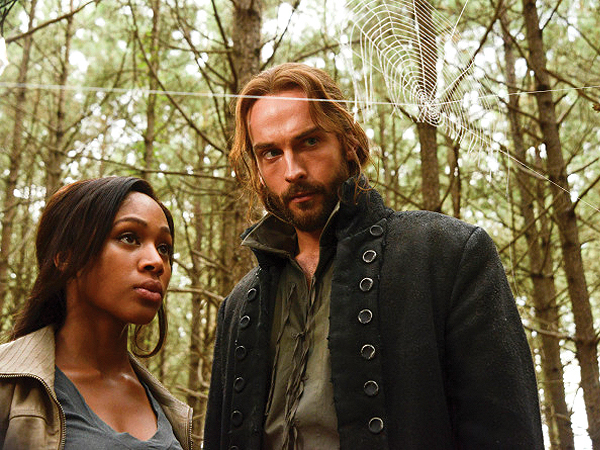 I could also see it as a summer series, perhaps in Sleepy Hollow’s same time slot. Either way, I’m excited to see what they do. FOX seems to be trying to make up for cancelling Dollhouse and Firefly (and causing other shows to derail because of executive meddling), so hopefully they keep it up. 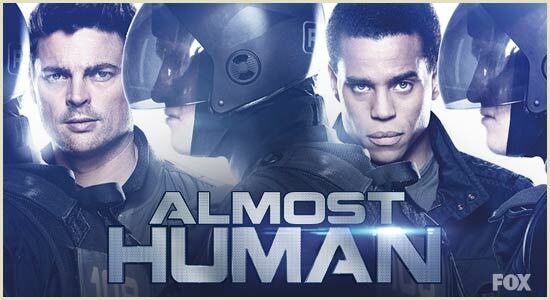 I’ve been looking forward to Almost Human for a while. I’ve been enjoying FOX’s apparent commitment to diversity, and knew I wanted to check out this show for two reasons: its futuristic element and its black co-star Michael Ealy. The two leads have a great chemistry together that works both during action and also comedically. It’s clear that so far it will be a classic procedural type show, with futuristic crime fighting and androids. I think the story arc of the case that went wrong and the missing girlfriend will be interested, especially the girlfriend. I have a couple of theories as to who she is and why she disappeared, but I suppose we’ll find out more soon enough. My initial theory is that she is an android but he didn’t know it. I think I like it so far. Some of the case stuff blazes past me, but that’s just how I am with procedurals. I tend to watch for the characters as opposed to the case (unless it’s a really good, twisty mystery). I can’t wait for tumblr and gif-makers start to make gifs of Michael Ealy’s facial expressions, because they are hilarious and awesome. It’s a really interesting move that two of the most genre’d procedurals on the network are going to be aired the same night, both with black/white duos, with a focus on another time, and missing ex-love interests plus current ones. I dunno, there is something actually very similar about both of these shows. I hope they pair well together. Didn’t seem like too much for me tonight when I watched live and in succession. Until next week! We’ll see how it goes. via ‘Sleepy Hollow’ Gets First 2nd-Season Renewal of 2013-2014 – TheWrap. My favorite new show of the fall has already been renewed! This is one of the fastest network TV renewals I can remember hearing about (I’m sure I’m missing one). It’s only been three episodes! I know that cable networks, like HBO, pull this card all the time (I remember when HBO renewed Game of Thrones the night of it’s premiere), but it’s rare to see a network do it. Also, I didn’t know that they were sticking with a 13 episode season. This should be great. As we see with cable and British television, shorter seasons lead to great acclaim and better storytelling, so I’m excited to see what a 13 episode season across two seasons could hold. This could be the beginning of a trend on network television. Until the next episode (or article on the greatness that is Nicole Beharie)! *NOTE: These posts will contain always #spoilers. Sleepy Hollow: Maybe it wasn’t a good idea to watch this show before bedtime, especially after that last moment in the mirror. #shivers. I love Abbie’s voice. It reminds me of someone else’s but I can’t place it. Time to IMDB her. I think it’s interesting how they took the Sleepy Hollow story and added the Four Horseman in order to stretch the mythology to be TV show length. Despite spoilers, I didn’t know John Cho knew the Horseman, just that he dies, but how did he know what he knew!? Also: YO homegirl got a bite on her!! Yo! Key and Peele: Key and Peele are BRILLIANT. It’s topical and funny and really smart (both clever and use of literature and theater despite maybe some not expecting their audience to care about those things.) Watch the intro Hoodie sketch, the Rap Battle Sketch (until the end), and the Les Mis sketch. Can’t wait until next week! Hopefully I’ll be more in a posting mood as the fall tv season approaches. Click through to check out a sort of preview.